Wall Street bankers are counting down the days for the term of Chair Martin Gruenberg, an Obama administration holdover, to end in November. Trump has yet to tee up a successor, however. The longer the Volcker Rule and living wills stay as is, the harder it may be to undo them. 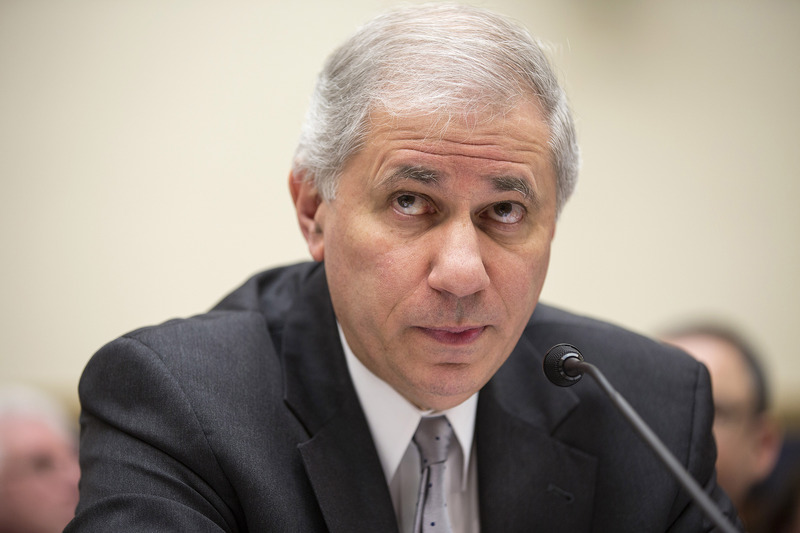 Martin Gruenberg, chairman of the Federal Deposit Insurance Corporation, testifies to the House Financial Services Committee about the effects of the Volcker Rule on employment in Washington on February 5, 2014. FDIC Chair Martin Gruenberg’s five-year term expires in November 2017, while his tenure as a board member ends in Decembers 2018. Vice Chair Tom Hoenig’s six-year term as a board member ends in April 2018. There is no expiration for his tenure as vice chairman. The agency's board members can continue serving in those roles until a new director is appointed by the president and confirmed by the Senate. James Clinger, former chief Republican counsel on the House Financial Services Committee, withdrew his name from consideration as the FDIC chair in July.